Once you have received your new Bose A20 headset, click on the link below to claim your Soundlink Revolve Speaker. Free SoundLink® Revolve Bluetooth® speaker (Triple Black) offer is valid only when a customer purchases a Bose A20® Aviation Headset from an Australian or New Zealand Bose Aviation Authorised participating reseller. 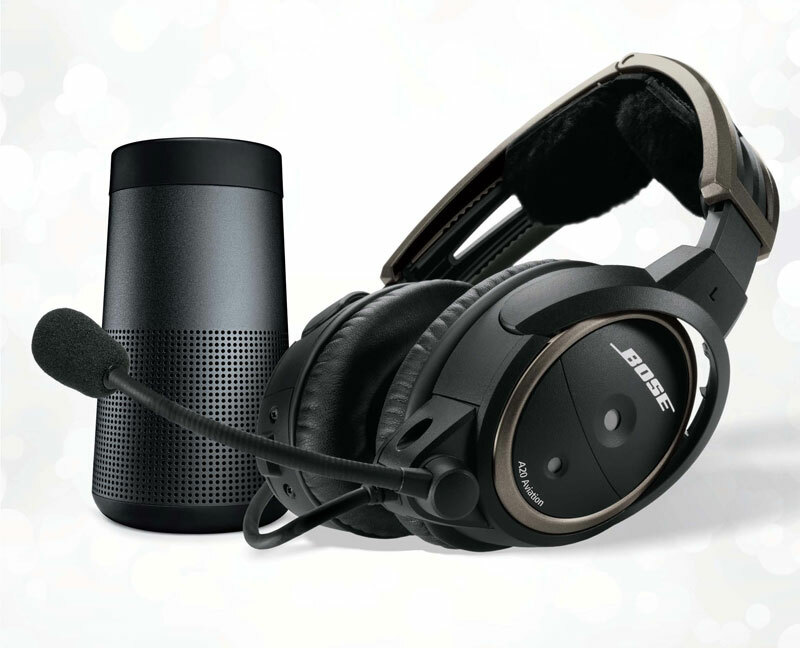 Only sales of Bose A20® Aviation Headsets purchased between 1 December, 2018 to 31 January, 2019 are eligible for this offer. The SoundLink® Revolve Bluetooth speaker (Triple Black) offer is provided by Bose and the authorised participating reseller. One (1) SoundLink® Revolve Bluetooth® speaker (Triple Black) per Bose A20® Aviation Headset purchased. This offer is contingent upon purchase of the A20® Aviation Headset. If the A20® Aviation Headset is returned, the SoundLink®Revolve Bluetooth® speaker (Triple Black) must be returned to Bose or the retail value of the SoundLink® Revolve Bluetooth® speaker (Triple lack) ($299AUD/$349NZD) will be deducted from any refund or credit. Shipment of the SoundLink® Revolve Bluetooth®speaker (Triple Black) is subject to product availability. Bose is not responsible for late, lost or misdirected mail or typographical errors. Offer valid in Australian or New Zealand only. Offer not valid for groups, businesses or organizations—for individual customers only. The Redemption must be made by 14 February 2019. This offer cannot be combined with any other offer, promotion or program. Delivery of promotional item will occur within 6 weeks from receipt of completed Redemption Form and is subject to product availability.